DES MOINES, Iowa — He doesn't prepare speeches. He doesn't like pollsters. And, so far at least, Democratic presidential contender Beto O'Rourke doesn't always have the capacity to coordinate basic campaign logistics. "He's a nice candidate, and I liked him," the Democratic chairman of Iowa's most populous county said of O'Rourke. "But if he does that kind of organization, he's gonna piss everybody off." With little executive experience to speak of, the former three-term congressman's 2020 presidential campaign — which is essentially a multimillion-dollar nationwide company that already features thousands of volunteers and dozens of paid staff — may represent the most significant leadership test of his life. 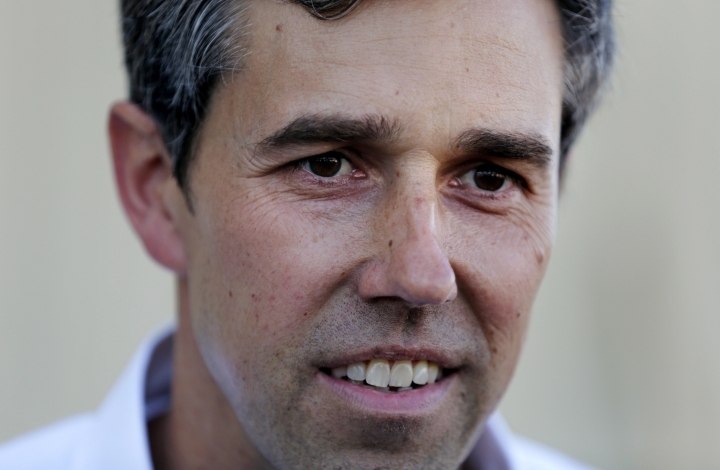 "I'm not someone who's been running for president for my life or for years," O'Rourke said as he barnstormed through South Carolina over the weekend. "I've been thinking about it in a serious way for a couple of months and have been a declared candidate for 7½ days, so I understand that that can pose some challenges." Indeed, many top-tier candidates in the crowded 2020 presidential field have spent much of the last year — or longer — building shadow campaigns of prospective staff, donors and volunteers to allow them to ramp up their presidential operation quickly. O'Rourke had never stepped foot in Iowa before launching his presidential campaign. More than a week later, he says he has an interim campaign manager but has not identified the person. Aides report that he considers his wife, Amy, to be his most trusted adviser. The documentary made it clear that the candidate seeks to use the media to his advantage. Scenes showed him talking to advisers about trying to bait certain reporters into favorable coverage while complaining about having to "dance" for national outlets. In El Paso, O'Rourke critics have complained about him using the city as a prop for East Coast newspaper reporters. Some people find O'Rourke's "quirky campaign" endearing, Shurtleff said, although tracking him down can be difficult. "It's almost like 'Where's Waldo.' Where's he going to pop up next?" Shurtleff asked. "It's hard for some people to plan." "I looked at his New Hampshire schedule and said, 'Here's a man who doesn't know New Hampshire,'" said Susan Chandler a 72-year-old retired assistant principal who attended one of O'Rourke's 11 events in the state over two days last week. O'Rourke and his team don't yet know the states that matter most on the presidential primary calendar. He says his unorthodox approach on the campaign trail will help him connect with voters of all walks of life — especially in areas he doesn't know. For now, he's largely depending on an inexperienced staff and a huge collection of energized but inexperienced volunteers to guide him. His campaign, he said in South Carolina, "is all about people and about all people." "I don't care how red or rural, blue or urban the community is. Everyone in this country is important, and we want to bring forward and not leave behind a single soul in this country," O'Rourke said. "And that's not just how I want to serve as president. That's how I want to campaign as a candidate."